When considering a fast food franchise look no further…. 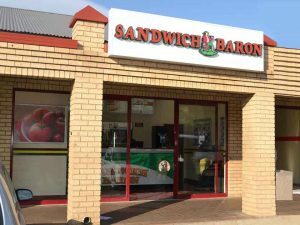 Sandwich Baron had small beginnings and was started in Alberton in 1996 by Sally J’Arlette-Joy. After selling her successful restaurant the intention was to have just a small sandwich shop. However, due to the demand of the product hope of a national franchise was realised. Sally’s hands-on involvement from the beginning ensured that all the pitfalls normally associated with starting a new business were eliminated in this franchising development. We have grown to be the biggest player in the sandwich business. Our proven secret recipes result in undeniably delicious food that keeps our customers coming back for more (and tell their friends). Sandwich Baron presents a polished and professional retail identity. Added to our “good looks” we offer an extremely popular, free delivery service to our customers. Our first franchise opened in Germiston in 1997 and currently there are 46 stores 5 being company owned. Get your finger in the fast food franchise pie with Sandwich Baron, South Africa’s largest sandwich group nationwide! If becoming a Sandwich Baron franchisee whet’s your appetite then please contact us immediately, we’d love to meet you and cook up something together. Join our royal family. Become a franchisee today. Sandwich Baron is literally the best thing since sliced bread and is a growing South African concern with fantastic wealth creation potential for you. With our well known brand, established operating procedures and full training and support a Sandwich Baron franchise offers you a secure investment in your own business. We maintain a friendly, fair, and creative work environment which respects diversity, new ideas and hard work. Sandwich Baron puts you in the driver’s seat and offers potential franchisees a choice between the proven original concept and the popular Express outlet. We offer full training and support to our individual franchise owners in order to develop and maintain an outstanding service ethic coupled with quality fare. Full support Operations Managers. We employ full time Operations Managers to support our franchisees. We look after your investment by identifying problems within the Group and dealing with them immediately. Opening Support. As well as providing you with a full time manager for your first month a complete care programme is implemented to support all new franchisees so you will never be alone. Back Up Staff. We have invested in training and have a list of staff available to support you if you run into staff problems. We have a number of franchise support managers and trained staff to assist you. Technical Staff. Your computerised stock control till is fully supported by Head Office where we do price updates and development. Newsletters and Franchise Meetings. These are provided on a regular basis where our franchisees’ input is welcomed. Training. To ensure the best start in your new business we provide specialised training for the owner, the counter and kitchen staff. Add to that an up-to-date Operations Manual to ensure smooth running. For our franchisees – 4 weeks at Head Office. Counter staff – 4 weeks at Head Office. Kitchen staff – four weeks at Head Office, one month on site. We offer ongoing training in the way of workshops. Price. Delivery store: R620,000 plus VAT. Potential franchise must have at least R 400,000 in their own money. Finance available depending on credit record of potential franchisee. Email sally@sandwichbaron.com to get information and find out about opportunities in your area! Download and complete the questionnaire and email to sally@sandwichbaron.com before applying to be a Franchise. 1. How long have you been in business? 21 years. 2. How many stores do you have and how many are franchised? 42 stores – 33 franchisees and 9 company owned. 3. How long have you been franchising? 20 years. 5. Is your trademark registered? Yes. 6. Where are your stores? Mainly in Gauteng but we also have in Klerksdorp, Witbank, Rustenburg, Middelburg, and in the Western Cape. 7. Which areas do you have available? There are a few sites left in the Johannesburg area, parts of Pretoria are available and nationwide. 8. Who is your competition? We do not have any at the moment but this could change as the brand grows. 9. Do I have to run my own store? Yes, we do not accept manager run stores. 10. How much is a franchise? R620,000 plus VAT. Store includes joining fee of R75,000. 11. How much do I need before I can apply for finance? The banks required that you have your own 50% contribution. 12. When must I start applying for finance? You will need to meet with us first and obtain approval from the Franchisor. 13. How long does finance take? Around 4 months through all major banks and institutions. 14. Will I have to pay a deposit? No. However, you can pay a joining fee to put you on top of the list for a store. This is refundable if we cannot find a site within 40 days. 15. When will I sign the Franchise Agreement? When premises are found or upon payment of the joining fee of R75,000. 18. Do you assist with lease negotiations? Yes. 19. Do you assist with finding me a site? Yes. 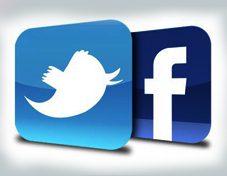 As a big Group we are being offered sites on a daily basis. 20. How many square metres do I require? 80m2 to 100m2. 21. What are the hours of operation? Most shops open from 8am to 4:30 pm but you can stay open longer if you wish. We are normally closed on Sundays and Bank Holidays. Your trading hours may be dictated by the shopping centre you are in. 22. What are your royalties? The royalty is 6% of turnover. 23. Is there an Advertising Fund? Yes, you will contribute 2% of your turnover to the Fund. 24. How long will it take me to break even? Normally 3 months. 25. What is your gross profit? 64% before tax. 26. How long will you take to open my shop? One month from receiving payment in full. 27. What is included? We offer a turnkey operation which means all your shop fitting, equipment, delivery vehicles and opening food stock is included. 28. How many staff will I need? Delivery store – we normally start with ten – four kitchen staff, one counter assistant and five drivers. 29. Will you assist me in choosing the right staff? Yes. 30. What kind of wages would I have to pay them? The wages are as required by the Bargaining Council. 31. What training do I receive? One month at Head Office. We have been very successful in training staff and duplicating the product. 32. What kind of support can I expect to receive? We have Operations Managers to look after our stores. We also have a team of managers and support staff. There are regular shop evaluations, newsletters and franchise meetings. The Franchisor is accessible to the Franchisees. We have an additional care programme for new franchisees. 33. What do I do about suppliers? Being a large group we have designated suppliers most of whom deliver the next day. Our suppliers number is less than ten. All prices for products are negotiated and set at Head Office. We use our buying power to get the best price of products for our franchisees. National distribution is in place. 34. What products does the Franchise Group supply? Very few items. You will order through our distributors including your menus and clothing. We do not have a distribution centre at present but suppliers are in place. 35. Can we serve coffee? Yes. 36. Can we offer specials? Yes but these are developed by Head Office. 37. What do I do about stock control? We have a complete computerised stock control till system? 38. How long is the franchise term and is this renewable? Five years and it is renewable provided there have not been any breaches of the Franchise Agreement. 39. Can I sell my shop? Yes with approval of the new person by the Franchisor. As the brand celebrates its 20th anniversary, Sandwich Baron founder and CEO Sally J’Arlette-Joy offers 20 reasons why potential franchisees should consider buying a Sandwich Baron franchise and join in the phenomenal growth of South Africa’s fastest growing sandwich business. Globally, and in South Africa, sandwich shops are a growing industry with a sustainable profit outlook. The sandwich shop industry has enjoyed steady global growth in each of the last five years, largely supported by robust demand for healthy meal options and fresh ingredients, according to a recent IBISWorld report, a global business intelligence leader specialising in industry market research. The sandwich shop industry world-wide is dominated by franchises. Sandwich Baron stores often sustain a higher gross revenue per store than competing independent sandwich stores, given higher brand recognition and prime locations. Research indicates that almost 80% of self-start business ventures fail. 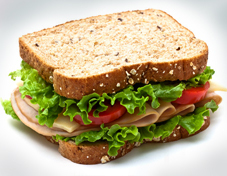 This is typically for lack of the sorts of safety nets Sandwich Baron offers: brand success; access to financing; proven operational methods; access to an established supply chain; and proven product development. Franchisees benefit from Sandwich Baron’s national and local marketing structure and subsequent brand awareness. You benefit from economies of scale derived through group purchasing. Location: Sandwich Baron’s proven store location guidelines ensure outlets boasts high levels of foot traffic near business districts to attract lunchtime trade. Sandwich Baron franchise stores enjoy a competitive edge over independents due to shorter trading hours. As a sandwich business that mostly caters for breakfasts and lunches, or corporate platters prepared during the day for evening events, franchisees benefit from shorter operating hours. A Sandwich Baron franchise enables you, even if you’re an experienced entrepreneur in your own right, to focus on growing your business rather than reinventing systems. You’re buying a proven system allowing you to focus on the customer experience and expectations. You’re not on your own: you have a proven infrastructure around you. Maybe you could succeed on your own but given the high level of start-up failures (see above), having the support of Sandwich Baron creates confidence and the near certainty of succeeding. Sandwich Baron does the ‘thinking’ for you – you just implement it. Brand vision, product development and marketing are all handled! Support comes not just from Sandwich Baron but from your fellow franchisees. Despite the recession and storefronts going empty, sandwich franchises have kept expanding without inflating budgets. If you are an entrepreneur looking to work in the business world for the first time, buying a sandwich franchise is one of the most affordable and profitable ways to get your foot in the market, while investors are also more willing to back up a franchise because of the tried and tested franchise business model which reduces the risk. Am I a hands-on operator? Am I prepared to protect the brand? Am I willing to go the extra mile in what is a service industry? Am I willing to learn (believing one knows best is the surest route to failure)? Do I understand the importance of group operational standards? 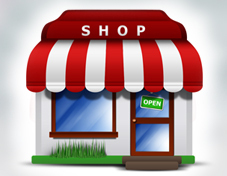 Am I prepared to be personally involved in the store level so as to drive profitability? Do I have the prerequisite finances? The Sandwich Baron franchise chain has grown from one to 50 stores in two decades, with stores in Gauteng, Mpumalanga, North West, Western Cape and KwaZulu-Natal. “If you can relate to our ethos, have a passion to achieve beyond your comfort zone and really desire to own a business with a proven recipe for financial success, then Sandwich Baron may be just the company for you,” concludes Sally.